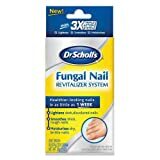 Eliminates Nail Fungus - Our powerful formula has been thoroughly tested for proven results in killing nail fungus on both toenails and fingernails. Visible improvements can be seen within weeks. Safe & Gentle - This natural anti-fungal pen powerfully fights against fungus without any discomfort or pain. Maximum Strength Repair & Protection - The premium solution effectively restores discoloration, brittle and cracked nails back to health. It also protects from further damage and infection. Easy to Use - The clear liquid applies easily with the included brush applicator and dries quickly for a no mess treatment. 100% Satisfaction Guaranteed - We stand behind everything we sell. If you are not satisfied, we offer a 100% money back guarantee. There is no risk for you, so give our anti-fungal treatment pen a try! 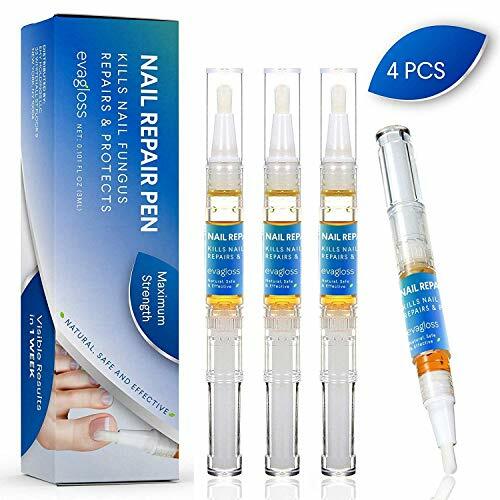 The Anti-Fungal Pen is the professional and effective solution to eliminating nail fungus on toenails and fingernails within weeks. The innovative formula is made with safe ingredients that gently work to repair and restore nails from fungal infection. 1. Thoroughly wash and dry the affected toes and fingers. 2. Gently rotate the end of the pen to dispense product onto the brush applicator. 3. Apply a thin layer of liquid directly over affected areas 3 times daily or as directed by a doctor. 4. Depending on the condition of the affected area, use daily for 2 - 4 weeks. 1. Not suitable for children and pregnant women. 3. Do not use on injured or cracked skin. 4. Avoid contact with eyes and mucous membranes, rinse thoroughly with water. 5. Test product on a small area 48 hours before use. If any irritation occurs, do not continue. 6. In case of illness or allergies, discontinue use and seek medical advice. 7. Keep tightly closed when not in use. 8. Store at room temperature.